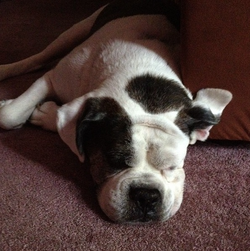 Zeus, a boxer that passed away last year, has not left our hearts and never will. He was a very beloved member of the family and is still a beloved memory. 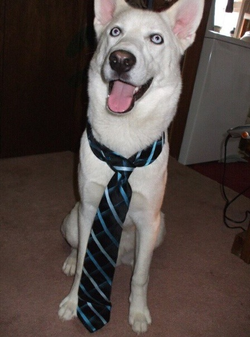 To read about Zeus' story, go to "Ziggy's Blog" and read Ziggy's most recent blog entry. Thank you. Ambrosius(left) and Waffles, two brave little Papillons, have lit up their owner's world. After the death of her Jack Russel, she was devestated. 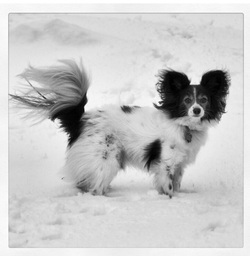 She thought she'd never want another breed of dog until she looked into those sweet eyes of her now, two Papillon dogs. The story of Ambrosius and Waffles, coming soon. Wow! Look at that! 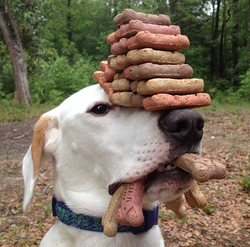 Have you ever seen a dog balance as well as this? I sure haven't. Follow up to see what all Zander can balance and what it took to teach him this creative skill, coming soon!